Conveniently located in Metairie, First Look is the leader in elective ultrasounds. 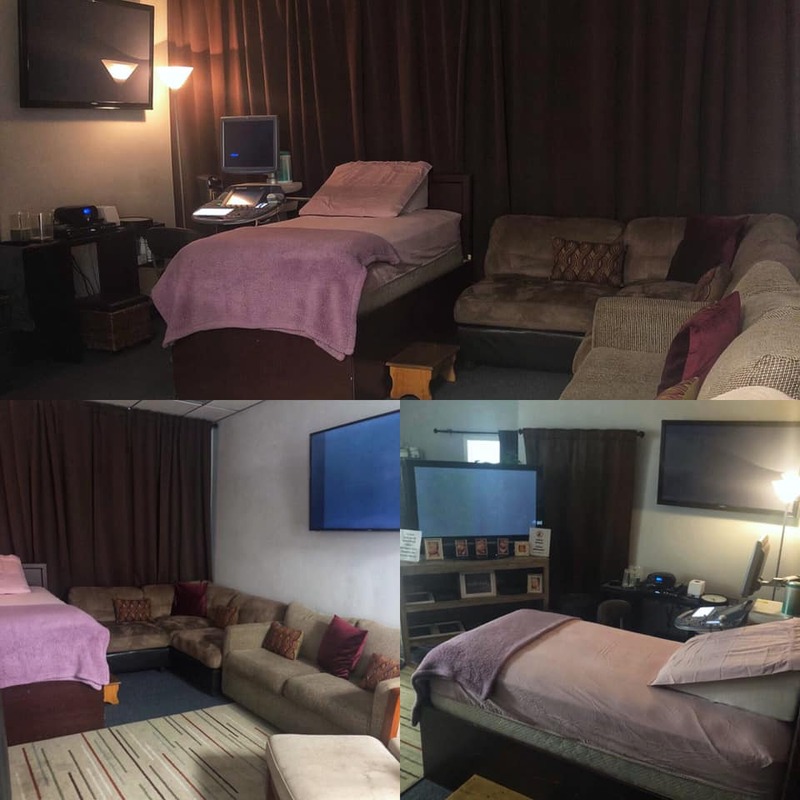 Open since 2009 we are the original free standing 4D ultrasound facility specializing in early gender determination and 3D/4D ultrasounds in the New Orleans area. We offer the latest HD technology at no extra cost. All of our ultrasounds are performed by a registered medical sonographer with years of ultrasound and OB experience. Locally owned and Mom owned, Trust the place that other moms have been trusting for years. When you are at First Look you are family! 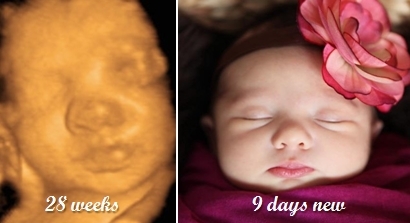 Here at First Look 3D/4D Ultrasound, we understand how exciting and wonderful this time in your life is. We now offer the latest technology, HD, at no extra cost included in our 3D/4D packages! Bringing a new baby into your family is a beautiful experience and we would love the opportunity to share in your delight. Get a peek at that beautiful face before the rest of the world does! That's what we offer to you. Seeing your baby in 3D/4D/HD on our big screen in the comfort of a plush pillowtop bed while sharing with family & friends is a heartwarming experience. It truly is incredible to see, in full detail, what's actually inside your belly bump! Our goal is to provide you with the best pictures available today, in an atmosphere that feels like home! Your comfort and satisfaction are very important to us. Open by Appointment Only. All appointments are booked online. Being a LOCAL mom born & raised in New Orleans, I know how important it is to support local business! We have been providing early gender determination and 3D/4D ultrasounds to expecting moms of the New Orleans Metropolitan Area since 2009. In 2014 we added the latest HD technology. Gender Determination: Beginning at 15 weeks pregnant. 4D/HD Ultrasound: The BEST time is 27-30 weeks pregnant. Digital Photos: Digital photos are now available, at no extra charge, with most of our 3D/4D/HD packages. We will email you your baby's pictures the same day as your appointment. You can then share them to Facebook, Instagram or Twitter with a push of a button! Heartbeat: Hear your baby's heartbeat during your gender determination or 4D/HD ultrasound. We even offer Heartbeat Animals to record the baby's heartbeat and take home as a keepsake. Family Photo: We will take a family photo, at no additional charge, for you to have as a keepsake to remember your ultrasound experience at First Look. Timely Arrival: We want every mom to enjoy every minute of their experience. This is why we ask all of our moms to arrive 5 to 10 minutes before the session start time to fill out the necessary paperwork & to get settled. This will ensure that you receive the full amount of time reserved on your Gender or 4D/HD ultrasound for you and your family. Please review our Policy. We strive to ensure your comfort. You will not feel like you're at a hospital. Our atmosphere is comfortable, contemporary and relaxing! We provide plenty of seating....We can seat up to 10 people, but feel free to bring more so everyone can share in this wonderful experience with you. We cater to expecting mothers ONLY! Everything we do is aimed towards making our pregnant moms happy!! You don't have to worry about germs from other "patients" because we don't have them. We solely cater to the comfort, safety, and happiness of you...our lovely mommies!!! Without you, none of us would be here so you deserve the best! That's why you should choose First Look for your gender determination and 4D/HD ultrasound needs! It is important to us that every mom has a great experience. This is why we offer our FREE Customer Satisfaction Guarantee. Get a peek at that beautiful face before the rest of the world does! Military Discount: $5 off or a Free CD or DVD! © ALL RIGHTS RESERVED :: No portion of this website may be copied or used in any way.